According to a report from 9to5Google, a source familiar with Hangouts’ future claims that the messaging service is getting unplugged in 2020, for consumers at least. Hangouts Chat and Hangouts Meet would still be a part of Google’s G Suite. 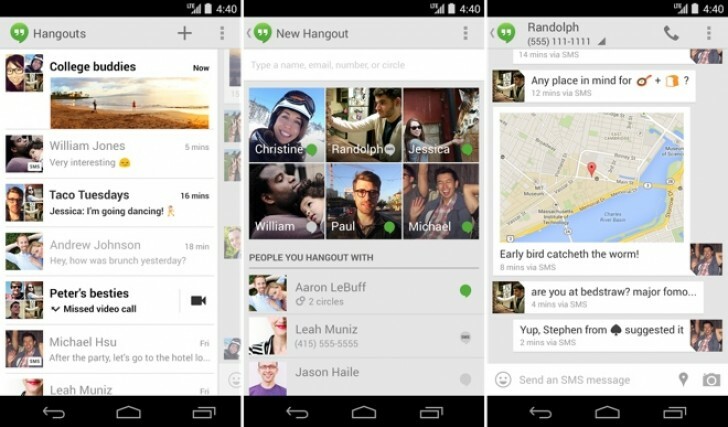 Hangouts would later be able to support SMS messaging so the same app could receive SMS and Hangouts messages, but its implementation wasn’t very solid. There was a lot of pressure for Google to come up with an iMessage competitor but Hangouts was not it. A few years later, Google launched Allo and Duo as simple-to-use instant messaging apps as brand new products, eventually converting Hangouts into a business group or collaboration chat/communication service. In a way, everything that Google learned from developing and launching Hangouts is now a part of Allo and Duo’s DNA. Many have moved on from Hangouts after Google rebranded it to Hangouts Meet, but if you’re still using Hangouts, you still have some time before Google eventually pulls the plug. Google has a history of shelving services that aren’t as popular as they once were. Such examples include Google Reader (an RSS reader), Google Buzz (a Twitter-like short blogging site), and the Google+ Social Network is already on its way to the schedule sunset date of August 2019.